The Dumb Little Man website is an excellent source for bits of everything. Articles are generally short and concise and most interestingly not all from the creator of the site. The Creator of the site created a blog on the side while he worked in Sales. 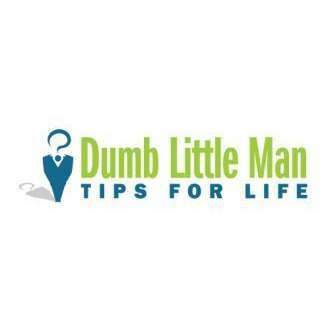 This blog became the DLM site that is currently established today. Eventually he had to choose one or the other and the rest is history. The interesting aspect of the site that the content as I mentioned is not all from the Creator. People who feel they have something to share can all write in and potentially have their article published on the site. For more info and/or to read the articles click the DLM Home Page Link below. 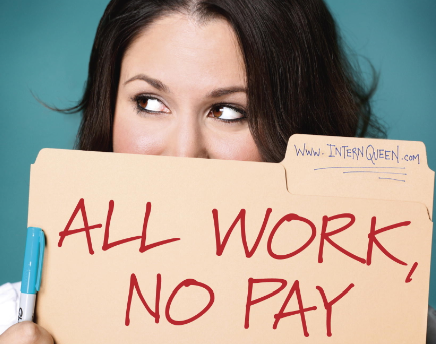 The famed Intern Queen is Lauren Berger CEO of Intern Queen Inc. Her website has a pretty comprehensive list of Internships easily broken up by state right on the main page of the website. As I mentioned in my blog I honestly think she has information to give that extends beyond just getting an internship. So while she may not catch your eye immediately as a source for those unemployed or underemployed I think her book “All Work, No Pay” could offer help to these groups. As far as her credentials during her 4 years of Undergrad she worked in 15 different Internships and in companies such as FOX, NBC, MTV, etc. Below are the Links to her site, her Twitter and the Interview she gave on the Today Show. Click here to go to The Intern Queen Inc.
Mike Baumgartner has over 20 years in Human Resource experience and shares that well of knowledge on his site, JobCast Radio: The Worklife Survival Center. The site offers advice directly and indirectly. The JobCast Radio Show does do broadcasts however, as per their website they are moving to a new location so new video postings have been slightly delayed. The videos are far from the only source the site contains. It has newsletters which you can subscribe to, it posts articles not only from Mike himself but also from other experts and well respected institutions. This site not only contains information on job hunting, interviewing, resume creation it also gives practical advice to those who are looking to keep their jobs and excel in them. I highly recommend the site, it is well worth the time and Baumgartner has an extremely knowledgeable, personable and genuine nature making him an invaluable resource. Great site started by two women who lost their jobs and with 60 years experience between them tried something new. The site has flourished and fully loaded with hundreds of coupon links, job search materials, free things to do in cities all over the U.S., recipes and new tips on inexpensive living while unemployed. *Interviews can be very stressful especially if you are unemployed or underemployed. To help keep yourself in order and less likely to forget any items, I recommend downloading this file. It has some tried and true tips which will help organize you and help keep the day running smooth for you. You will be able to edit this file to organize however is most efficient for yourself. *Mary's Staging Advice can also be found in the Tips From Professionals section of the page, however, you can download this Read Only copy for yourself. This article gives her tips on staging a house yourself, a real estate marketing tool which can be very effective but costly. If you would like to contact Mary directly about the article or to ask her any other questions click on the Contributors section of the page. There you will find her bio and be able to fill out the contact form her. Feel free to download however please note it will be downloaded as a read only file. *Save On Your Car Insurance and Points on Your License!!! This article is about saving on your car insurance and helping eliminate up to two points on your license through a defensive driving course. However, this is information gathered specifically from my and friends experience and information given from DMV, our own insurance carriers, and the specific location of New Jersey. However, check these items out with your local DMV, car insurance and any other appropriate channels based on your own background. If you do have any money to put toward something like this it could potentially be a worthwhile investment. *This is just a few links to some coupon sites I was directed to. I picked these sites for the reasons listed below their links and titles. These sites are more comprehensive without being completely overwhelming than some others I have seen. They offer some really great deals and could be a great starting point for those interested in saving money through coupons. You don't need to be an extreme couponer in order to get some really great deals and help alleviate some of your financial stress while being unemployed or underemployed. This is just one of the great videos from the site mentioned in further details above. I know there is so much on resumes out there and mixed messages but I wanted to post this because I feel that he puts things very plainly. As well as gives you a very honest opinion about how employers are thinking. This was posted by the Austin, TX news show. What I really liked about this was it shows how you may need to break out of your comfort zone, be proactive and see where it takes you. Now this man has had national exposure through you tube and while it may not be the right move for you, maybe this will help you not be afraid to try something outside your regular box.